It’s been two months since we last wrote on the blog! We had our mid-term break in March after which we’ve had a flurry of activity. But one of the most interesting developments has been the start of a small Tamani business!! The School Enterprise Challenge is a student-led business start-up awards programme for schools around the world. It promotes schools to develop entrepreneurship skills in their students, while earning additional income for the school. At Tamani, this inspired us to see how we could further engage our second graders, our eldest class. 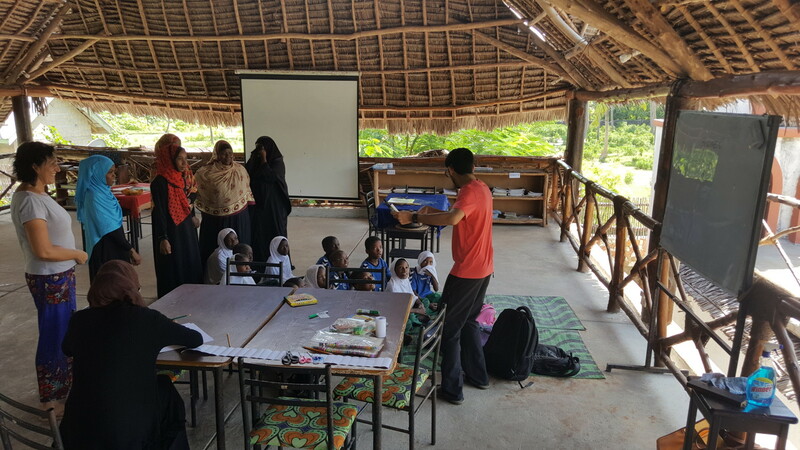 The teachers sat down to discuss different business ideas that would work given that we we are located in the village, and from that, “Tamani Tunda Tamu” was born! 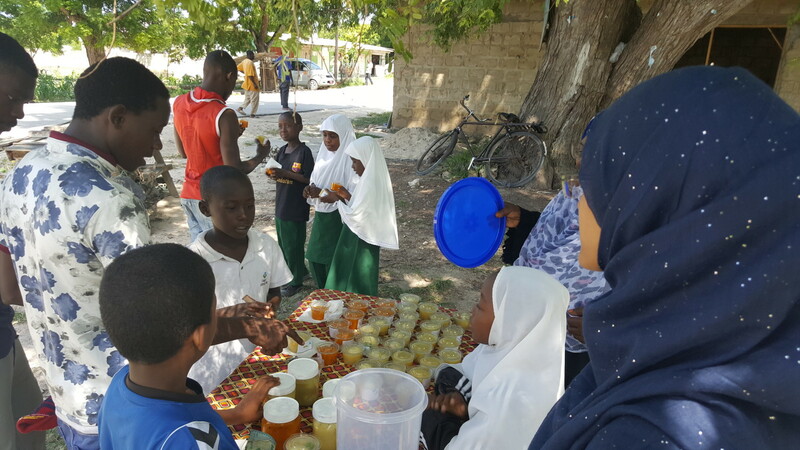 In swahili, tamu refers to anything that is sweet or pleasurable and with that in mind, we decided to make different fruit jams and chutneys to sell at the Matemwe village main junction. After many hours of planning, our pilot last week was a huge success! 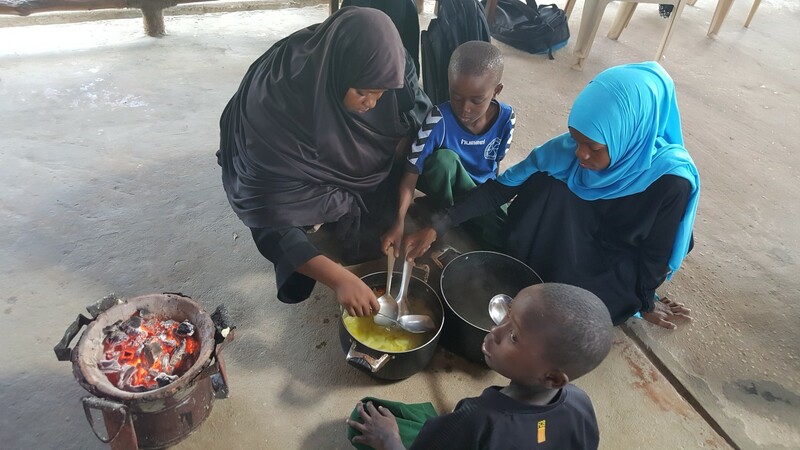 The kids loved the idea of being able to help cook, and attract people to the stall and sell items. We had papaya jam, in addition to lemon and mango chutneys. We made a profit of TSH 20,000 ($10) in the first two hours, but more than that, our kids learned real life skills! Given that we had some costs involved, we made sure to teach the students about how to plan, calculate costs, profit and loss, further enhancing on their basic multiplication, addition, subtraction, and division skills. We hope to continue the business on a monthly basis, and we’ll be sure to keep you posted! Selling at the main junction! Teaching the students about cost, loss, and profit. 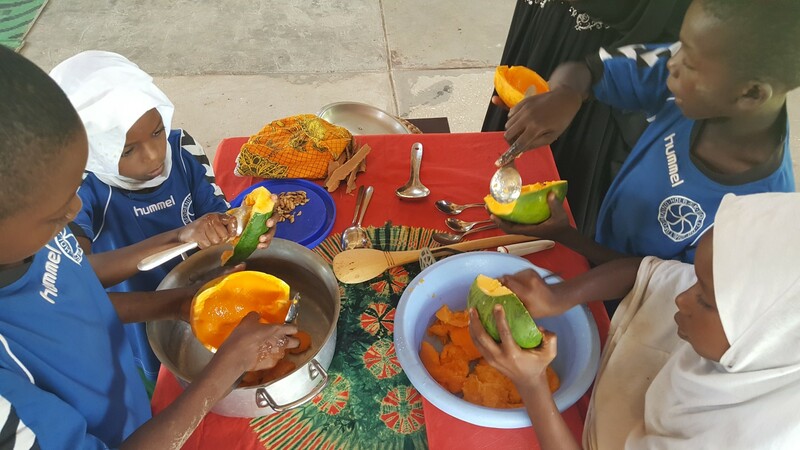 Cleaning out the papayas for jam! !